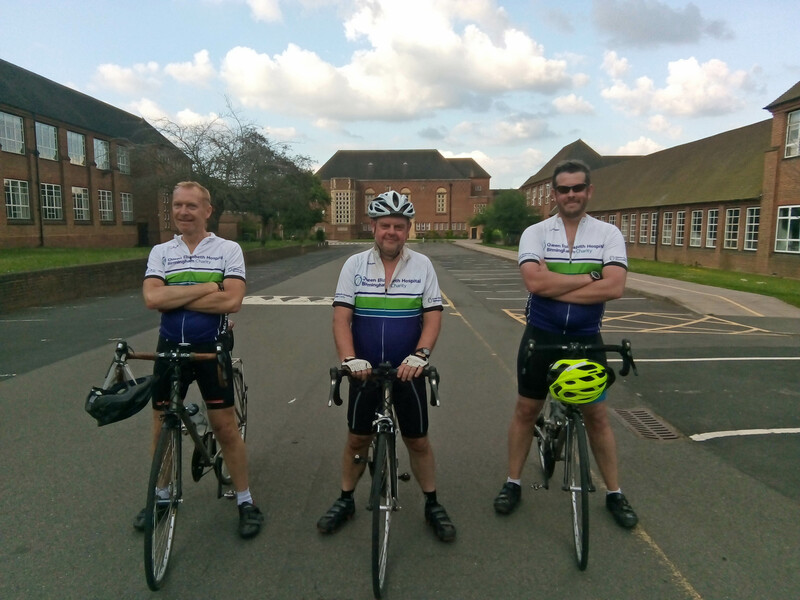 Three members of staff at King Edward’s School have cycled the distance equivalent to a stage of the Tour de France from King Edward VI Grammar School, Louth, in Lincolnshire, to KES in Birmingham, to raise funds for the Queen Elizabeth Hospital Birmingham (QEHB) Charity. Keith Phillips (Second Master, modern languages), Martin Monks (Head of Shells, music) and Thom Wareing (classics) spent over nine hours in the saddle on Sunday 3 June, covering a distance of 131 miles in very warm weather, with the aim of raising £1,000 for QEHB Charity. Mr Phillips said: “Even though we’re fairly experienced cyclists, this was a long, hard ride, made harder by the unexpected heat. British cyclists are, as a rule, not accustomed to hot weather. QEHB Charity supports patients, families and staff by providing funds for equipment, research and facilities which can not be provided by the NHS. The team have reached their target but donations to QEHB Charity can still be made via JustGiving.